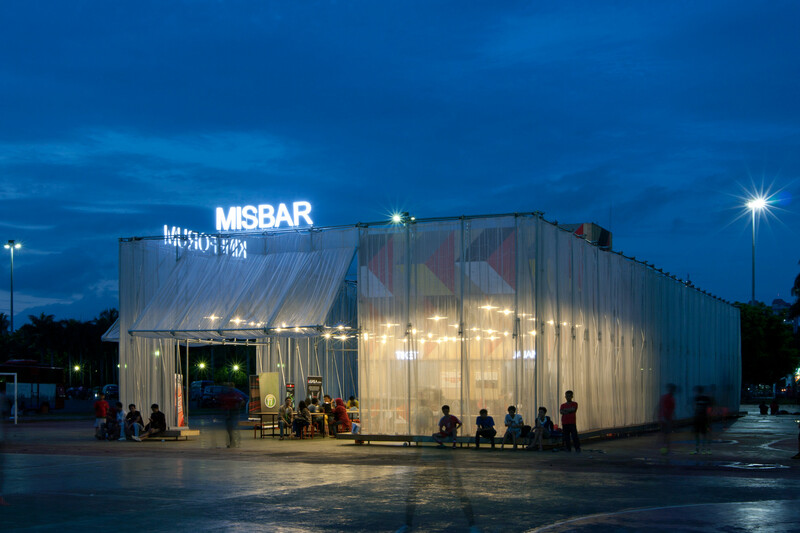 At the 2013 Jakarta Biennale—a global contemporary art festival held in the Indonesian capital—architects Csutoras & Liando collaborated with Jakarta nonprofit Kineforum to construct a temporary outdoor cinema, MISBAR. 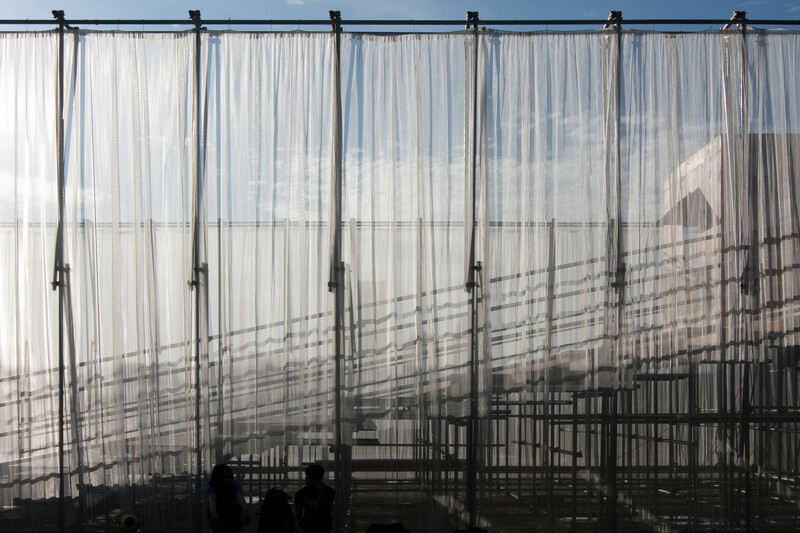 Using common materials like agricultural shade cloth, galvanized piping, and sheets of plywood, the designers drafted plans for a large but ultra-light amphitheater with quick setup. Consisting of a large steel-frame structure from which hung long sheer curtains, the LQC theater also had a colorfully painted wooden partition, which separated the screen from a distinct foyer and bleacher seating area. There was overhead lighting in the front-of-house ticketing area, and between films visitors could congregate or enjoy a snack on one of the many picnic tables lining the theater’s perimeter. The story behind this amphitheater is as inspiring as the LQC strategies used in its construction. 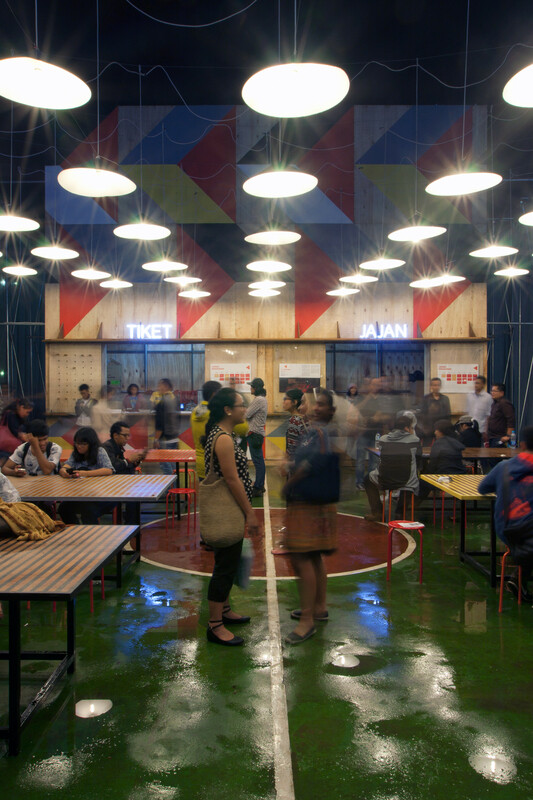 Open-air cinemas, once a regular fixture of Indonesian cityscapes, have in large part migrated indoors to Jakarta’s affluent downtown shopping centers. For many who lack access or funds, the pleasure of movie going has become a rarity, and the Biennal’s temporary amphitheater worked to revitalize this tradition. 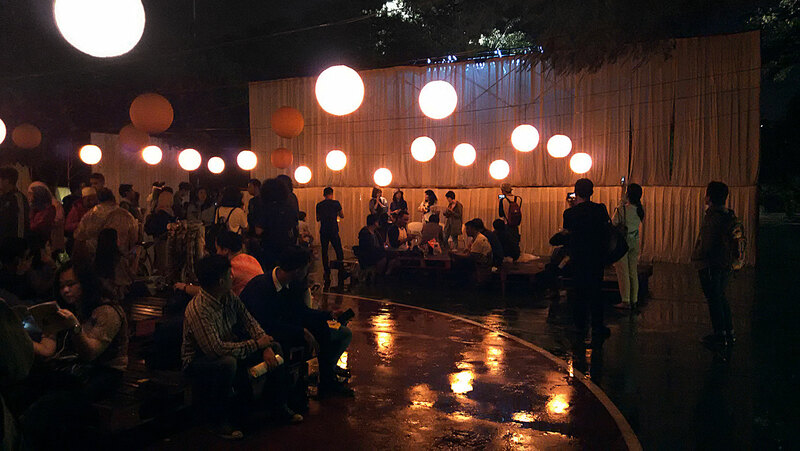 Just behind the structure, overlooking the event, stood an important national monument—a 20th century obelisk dedicated to the country’s struggle for independence—and the screenings themselves highlighted the country’s rich history and culture. 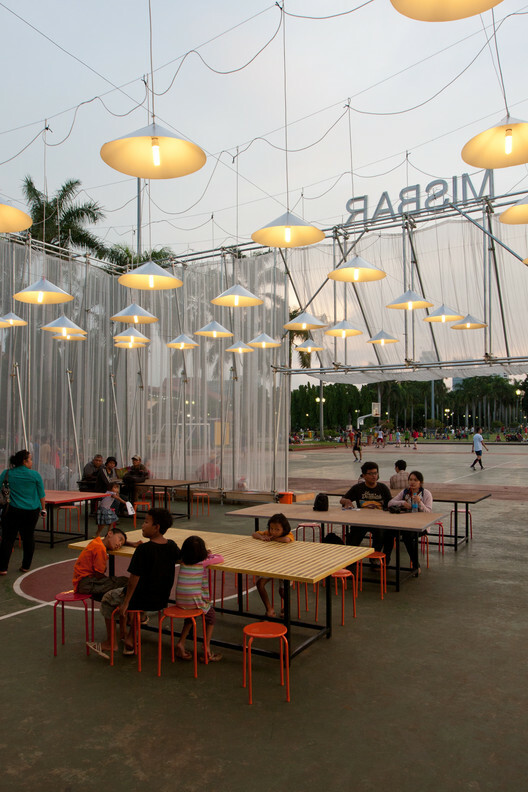 As a reflection of a place’s unique culture and history, the Jakarta cinema shows how the significance of an LQC project can go well beyond its physical components.